Hi, friends! 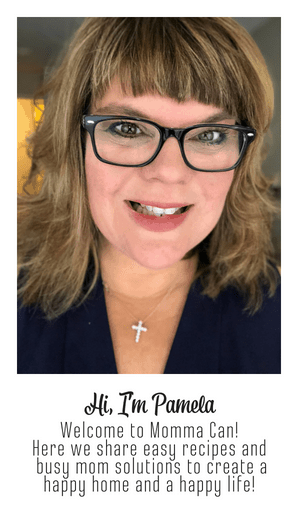 Today I am sharing a simple busy mom craft. 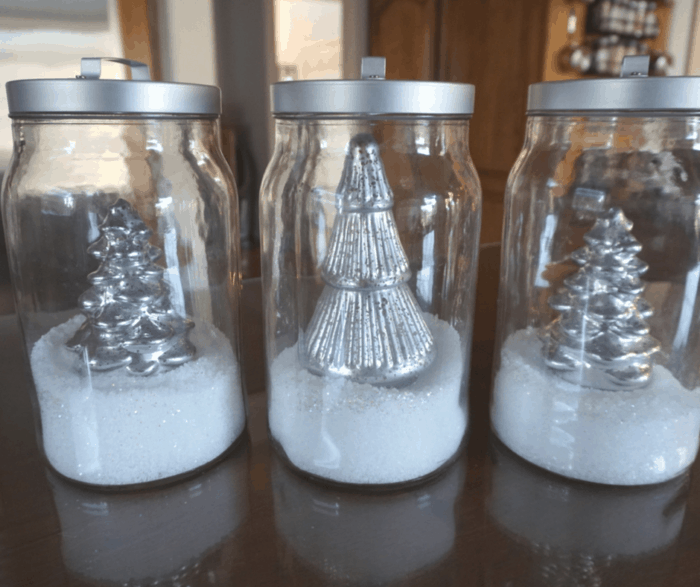 How to make winter snow scene jars! This is a wonderful DIY that can be accomplished with your children in very little time! 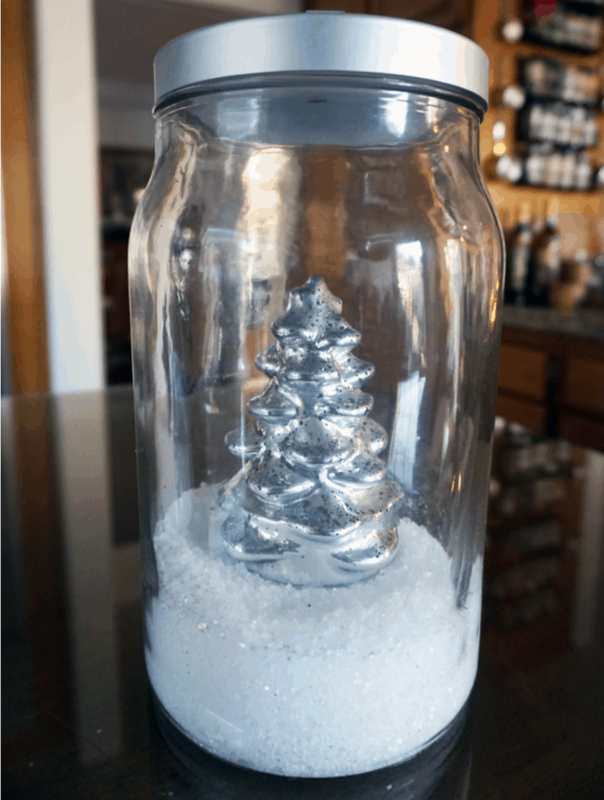 I am also sharing how to maximize the use of our winter snow scene jars by turning the Christmas scene jars into simple silver winter scene jars. Nothing is more exciting than a snowy day. The fields a blanket of heaven, the mountain peaks dressed majestically in white, snowtopped homes, children building snow forts and snowmen, and gorgeous pine trees standing tall and proud, their needs crystallized like diamonds and boughs heavy with beautiful snow! There are places in California where you can enjoy this scenery and experience snow at its finest. Then there is the desert, where snow is just a dream. The best thing about California is that you can pretty much drive to any climate. But for those of us who can’t take a three-day weekend to travel to snow, we can make winter snow globes with our children and turn on our imaginations to the magic of a snow winter. 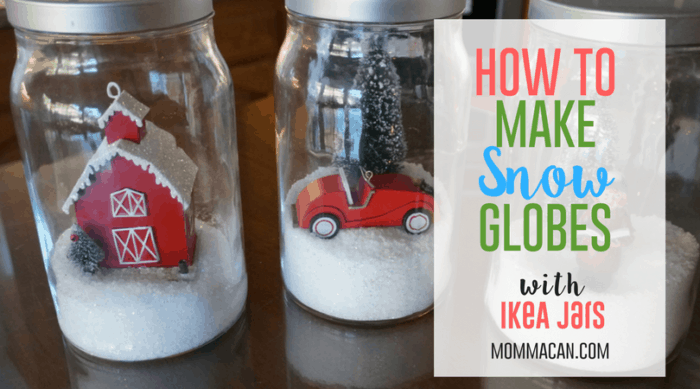 Creating winter snow globes with Ikea jars is super simple. 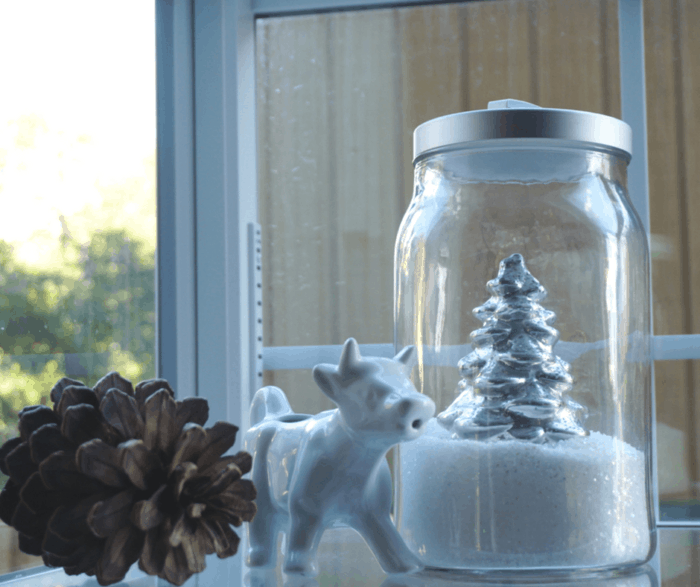 With just a few household items and some sparkling glitter, you can make a beautiful winter scene in less than 5-minutes. Fill jar 1/4 full of Epsom salt. I pour with the bag, pretty simple. If children are helping, give them a scoop or a small measuring cup. Sprinkle 4 tablespoons of Sparkling Glitter on top of Epson salt. The clear glitter gives your snow globe a magical look. Carefully, add your decorative items to the jar. It only takes a couple of pieces, sometimes less. One tree with a little character singing carols or building a snowman is just beautiful. 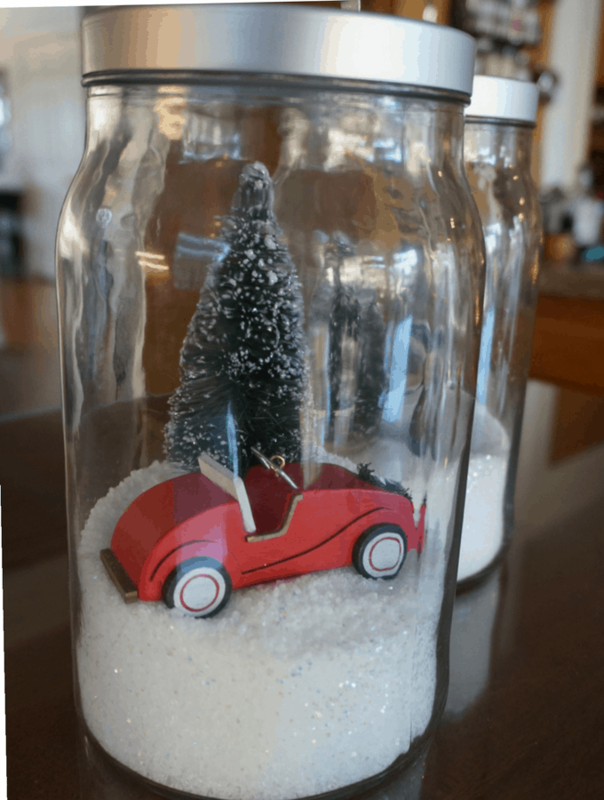 Cars, trucks and miniature houses are also great in snow jars. The sky is the limit, just make sure your items are not too wide to fit in the car, with a couple of inches space to keep it less cluttered. I found the red barn and car at Target. I just love this barn! I love the look of glowing mercury candlesticks and these lovely mercury pine trees. I have used them in so many ways over the holidays. These mercury trees have proved themselves to be worth every penny I have spent. Creating the Winter Snow Globes With Ikea Jars, proved to be so beautiful that I will have a really hard time putting the globes away until next Christmas/Winter! I loved that I went from the traditional Red Christmas Theme, prominent in my Christmas Home Tour this year, to a lovely silver and white themed jars. Using these jars with the silver theme elongates the time I can use them in my home decor. From Christmas, all the way until winter is over! That is truly maximizing what I have to minimize extra purchases. Switching from the red Christmas theme to the silver, mercury trees was super simple. I simply removed the red ornaments and green pine trees. Then I replaced the Christmas snow glob items with these beautiful mercury trees. Look at the sparkle glitter work its magic! Using the jars in winter vignettes is another way to maximize what I have! 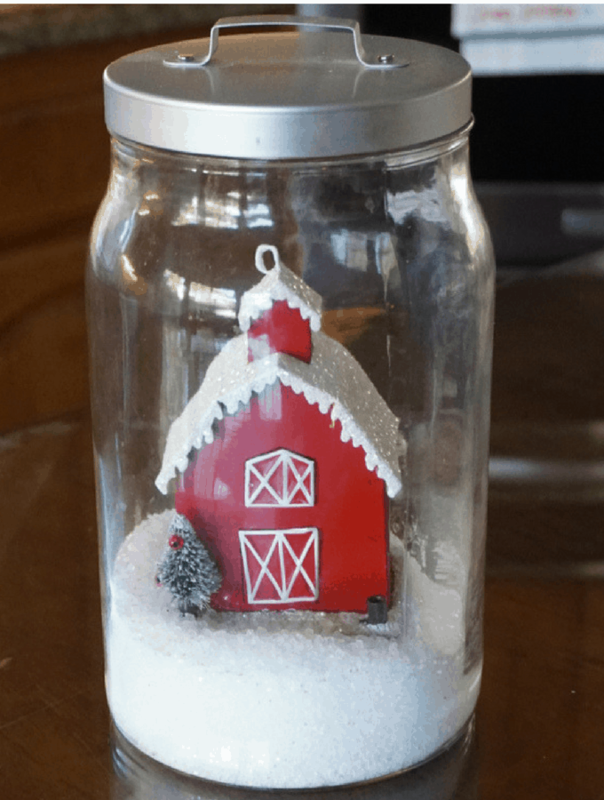 I love this simple budget-friendly farmhouse style, with this simple Ikea jar snow globe and my cute little creamery coy. And folks this is a wrap! I hope you get creative and make your very own super easy snow globes using household items! 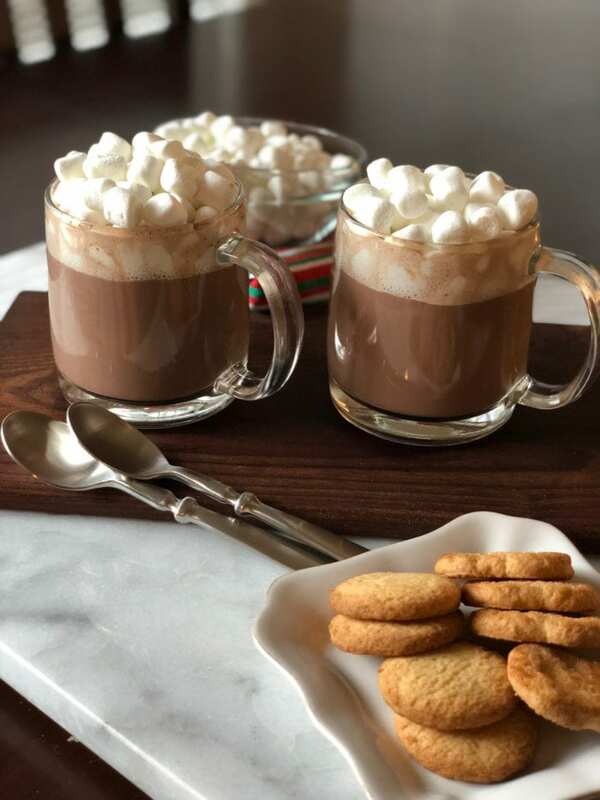 If you loved this and are really getting into the spirit of winter check out my awesome stovetop hot cocoa recipe! 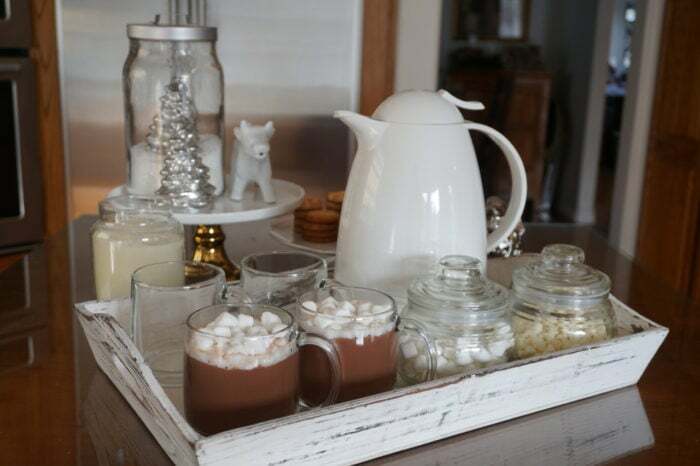 We loved using our Silver Tree Jars in the simple White Winter Theme Hot Cocoa Bar Find it here! Thank you! I am glad I decided to make the trees, I used them for two events already!